July 10, 2012, 8:27 a.m. Whether you’re a morning person or you tend to press the snooze button one too many times, getting ready in the mornings can be a chore. The bathroom line-up in the morning has led to many a family feud – while women are normally seen as the worst culprits when it comes to taking ages to get ready. 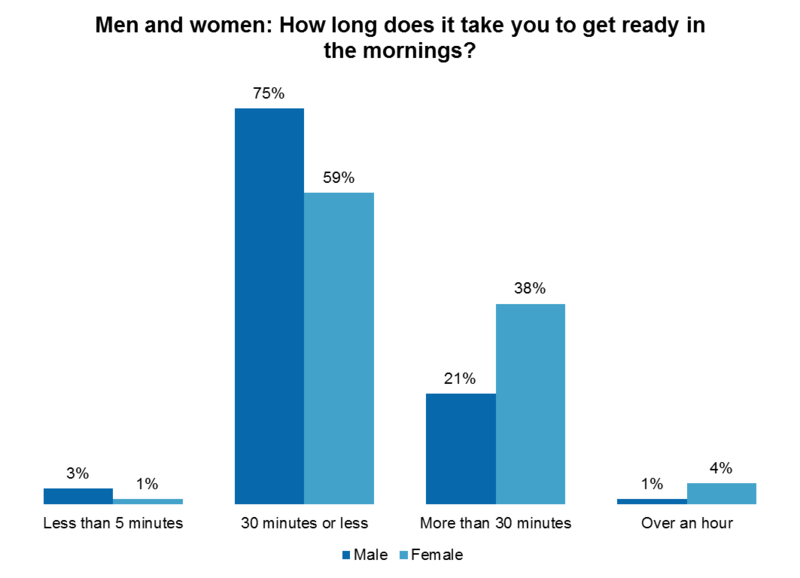 While most of us take less than half an hour, 38% of women spend longer than 30 minutes getting ready in the mornings (this is true of 21% of men) – that amounts to 7.6 days spent preening over the course of a year. The 4% of women and 1% of men who take longer than one hour getting ready tot up more than 15 days a year in preparing to leave the house. 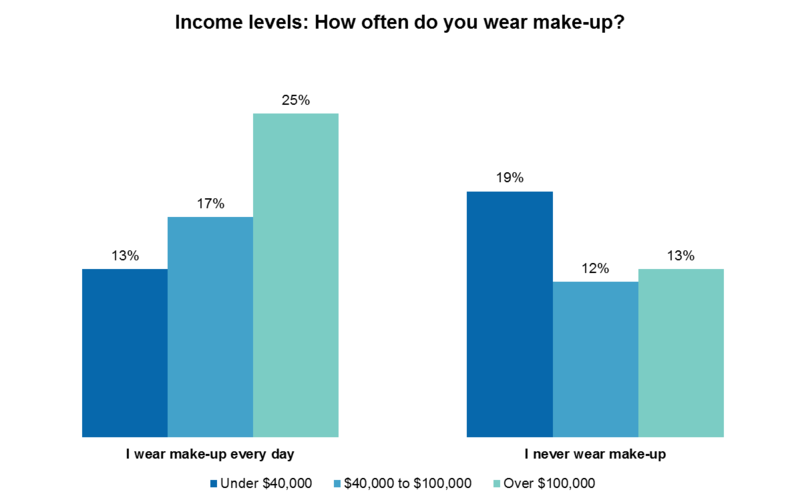 Income levels are likely to affect whether wearing make-up is part of the morning routine or saved for special occasions. 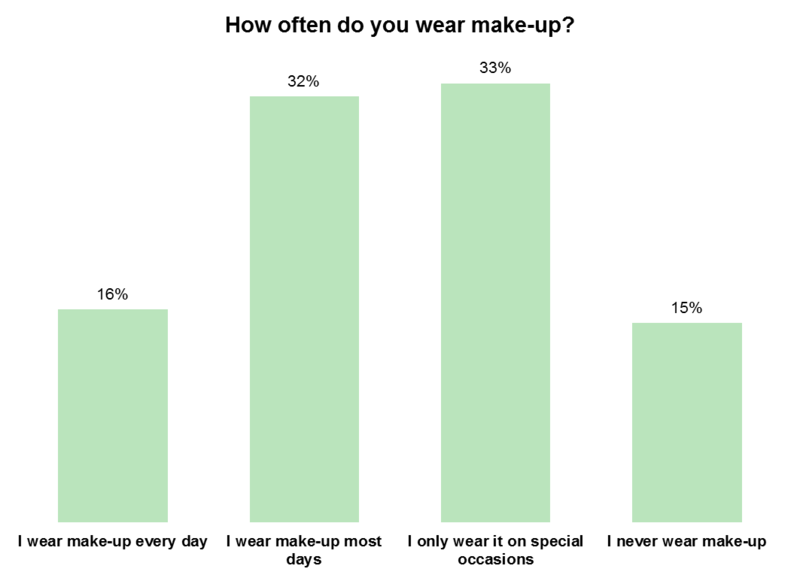 Higher earners are more likely to reach for their mascara wand in the mornings than those earning less than $40,000.